At CES in Las Vegas in January I had a chance to sit down with Mike Wong, the Director of SanDisk PR, and we had a very nice long chat about the memory industry trends, etc. 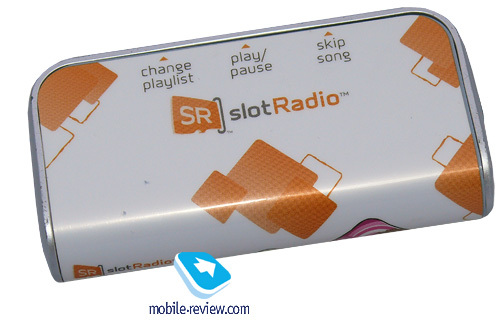 In the process of our discussion he presented me with a MP3 player called SlotRadio (SR). 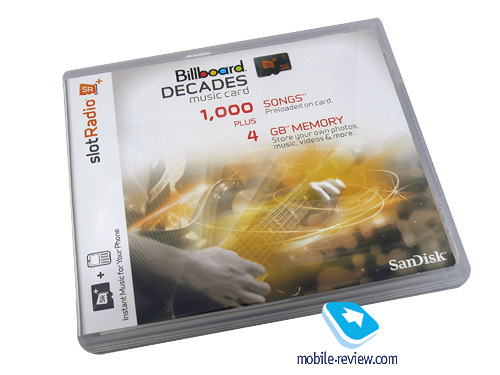 A very interesting design and 4GB of Billboard hits of the 80s and the 90s locked on a 4 GB SanDisk microSD card differentiated it from other devices available at any store. 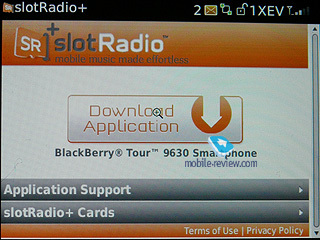 A few weeks ago I received an invitation from SanDisk to test drive another variety of SlotRadio, this time designed specifically for Verizon BlackBerry users. 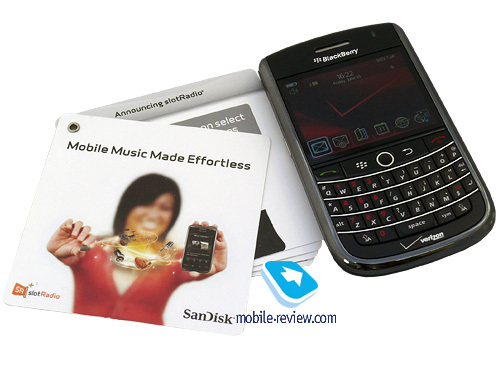 SanDisk was so nice that it even provided me with a Verizon BlackBerry Tour handset, so I could test their product properly. On this side, I was not that good as my preoccupation with the infrastructure of the M-R English side, forum, etc. forced me to take my time getting to it. Finally, I was taking a weekend off driving to Orlando for a drinking rendezvous with an old buddy of mine and decided that a 3 hour one way trip could be the best opportunity to listen to 1,000+ songs stuck on that BlackBerry. So I downloaded the app as per manual, plugged the 3.5 mm cable into the phone jack, the other side into my car's Aux Input and drove off. Before I get to the result of my experiment let me tell you more about the product. It comes in a nice CD-sized box containing the manual and the microSD card packed into a very nice, but not-so-easy-to-remove-from plastic container. 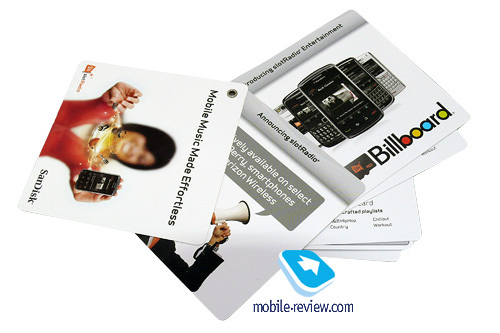 Once you pass the removal challenge you insert the card into the microSD slot on your Verizon BlackBerry and open your browser. Go to the provided address and download the application, answer all the questions SanDisk legal advisers thought possible to charge their client for and you are good to go. 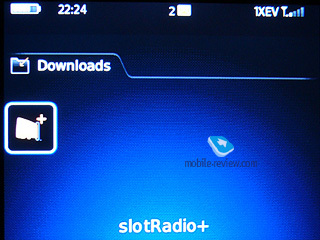 From now on in your Downloads folder lives SR application – click on it and enjoy the music. You have some limited choices to make, i.e. you can select a Playlist by a music format, but there is no way for you to see the songs on the card, change them, delete them, etc. 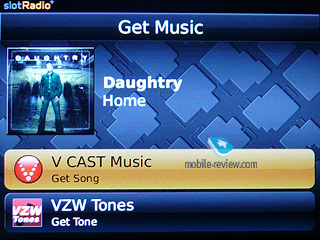 You may however order the song you liked from Verizon V-Cast store in case you want to have it not on SR or order a ringtone made from this song from Verizon Tones store. 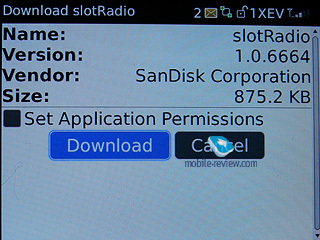 To wrap up the technical description of what SanDisk SlotRadio is I have to add that it is available from SanDisk and Verizon. There are some choices of means of delivery and the music selections, but the idea stays the same. This time the selection that got into my hands was Billboard Decades with "hundreds of songs from Billboard's chart topping artists" from The Who to Marvin Gaye, from Elvis to Lady Gaga. I listened for about 15 minutes and then I shut it off. Why? 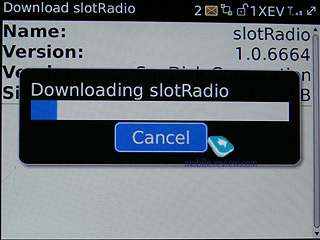 Well, this is the problem I have with the concept of SR Radio. I don't get it. I do not understand why somebody would come up with an idea for a pretty expensive mixed tape variation ($49.99 MSRP) and expect people to listen to what was chosen for them. 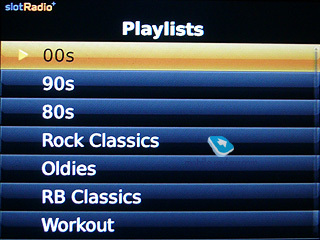 I understand where the name came from – when you are listening to the radio, you also don't get to choose what song will be playing next, so in this respect SR is better – there are no commercials and they do not play the same 10 songs over and over, and over again for weeks. I mean no matter how much you love Lady Gaga, listening to Alejandro for the 24th time in 6 hours is tiresome. Here you do have over a thousand of generally good songs mixed all together and never repeating. This is the good part. The bad part however is that these 1,000+ songs were still selected by somebody, not you, so there will be songs you do not like. Many of them, possibly majority. Listening to the songs you don't like often is often close to pulling teeth pleasure wise, but when you are listening to the actual radio at least you can switch between the stations, here you can either fast forward or, if you are jogging, driving, sky jumping, waterboarding or doing anything else while listening to the music, listen through it. One song – no problem, but what if there are a few of them in a row? It quickly becomes a torture. Can you believe the irony? You are waterboarding a suspect and yet it is you who is suffering? b. Should not read Mobile-Review. If you answered "Yes", what prevents you from getting the same excellent SanDisk microSD at your local Walmart for a fraction of the cost and record all the music you like right on it? 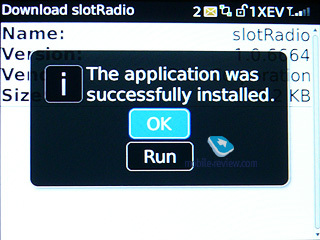 By the way, there will be no need to install an additional app on the phone either. The people who travelled outside of their city and forgot to take their music with them for some reason. In this case, I see how somebody just buys SR card in his local Verizon store and listens to the music, because this is the best alternative out there, when there is no radio in the phone. And yes, that somebody also has to have a pretty generous expense account as I for one, would rather walk the streets of a strange city without any music than spend my own $50 on somebody else's taste. The second market are the people who do not want to spend any time doing anything and are perfectly happy with whatever is given to them without giving much consideration for their own satisfaction. These people however are usually listening to a free radio. 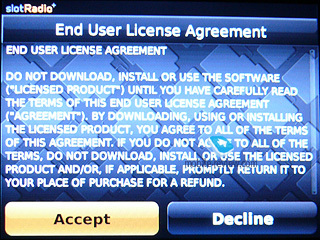 The third market are seniors or minors, who do not understand anything in consumer electronics, but for some reason have a BlackBerry and are able to launch downloaded applications on it. If I was to guess I'd say that is probably 7 people in the world. The forth and the final category are value hunters. Think about it – each of these songs costs $0.99 at iTunes, here for $50 you are getting over 1,000 of them. Now that is a bargain! 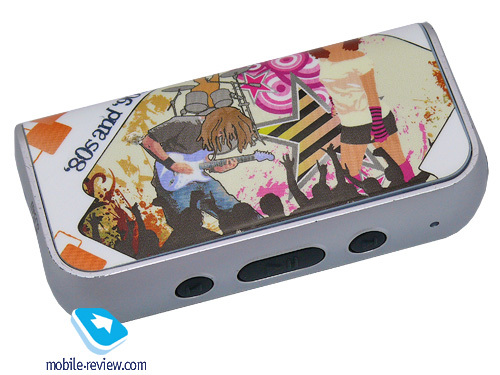 If you are listening not as much to the music, as to the sound of saved money – this is something you should definitely look into, the value here is impossible to argue. 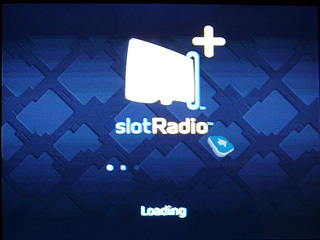 As you can see, the market for the SlotRadio is pretty slim. Add to that the fact that application itself is available only on particular phones from a particular wireless carrier and you could probably guess this is not going to be a runaway commercial success for SanDisk. I sincerely doubt there are lots of idiots working in SanDisk management, over the years the company proved otherwise time after time. Unfortunately, as the prices for the memory keep on going down SanDisk is forced to look into alternative ways of making money and SlotRadio is only the first step in that direction. Maybe this step is not big, but the company is trying, it is not sitting idle, I'm sure we will see other steps. 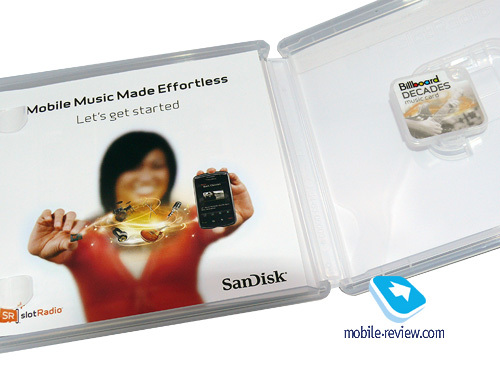 For that SanDisk can and should only be applauded.